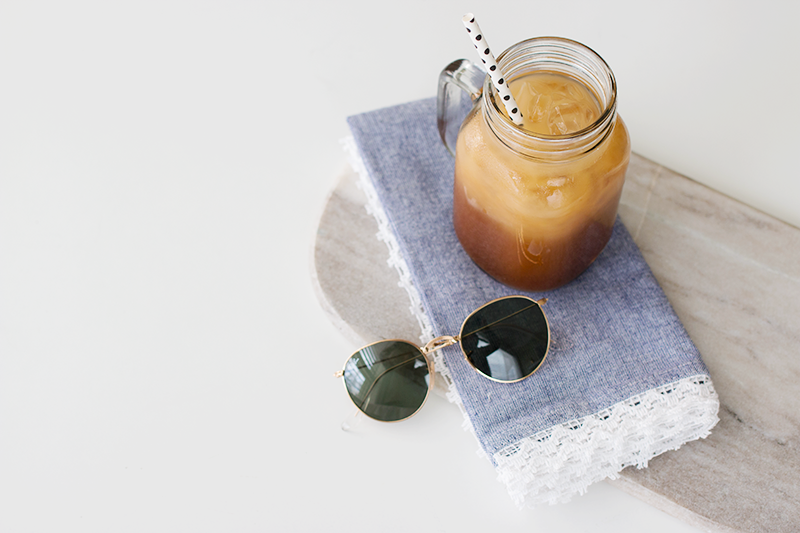 Hands up if you love iced lattes! Now hands up if you like lavender... to those of you sitting there with both hands in the air, today's post is definitely for you. I for one am a total fiend where both are concerned (coffee more so, let's be real), but when the two are put together, it's just, like, whoa. Next level. 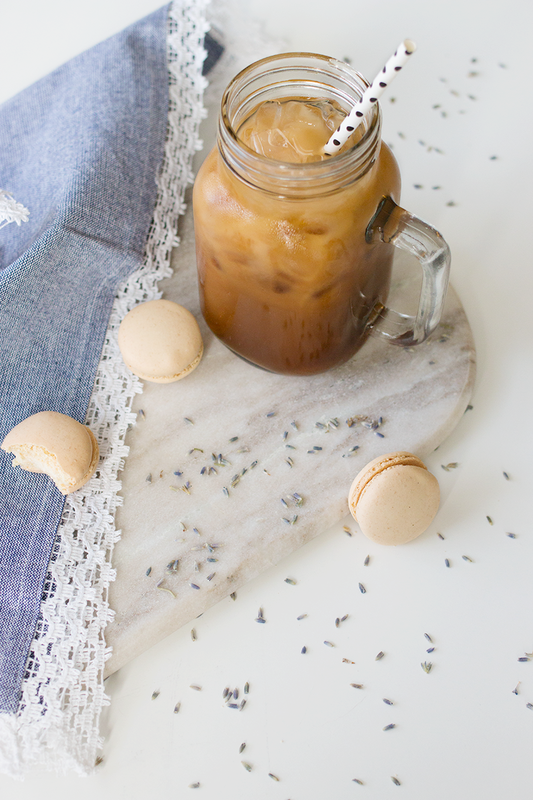 So when I stumbled on a lavender iced latte recipe while scrolling through Pinterest last week, I remembered that a) I have dried lavender in my spice rack, and that b) I didn't need any further incentive to give the recipe a try. 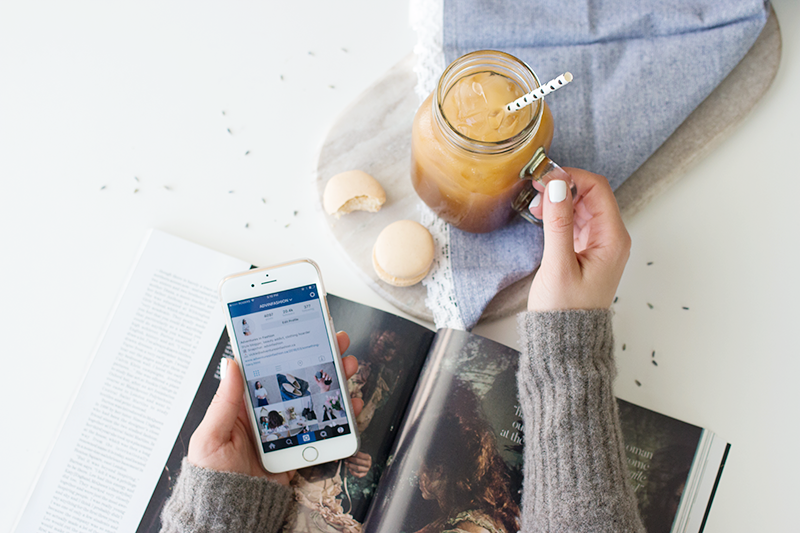 So here we are, caffeinated and and ready to tackle Wednesday... coffee really is a many splendored thing, isn't it? Combine the milk, condensed milk and dried lavender in a small pot over medium heat for about five minutes. Once the mixture starts to bubble slightly, remove it from the heat and set it aside to cool. 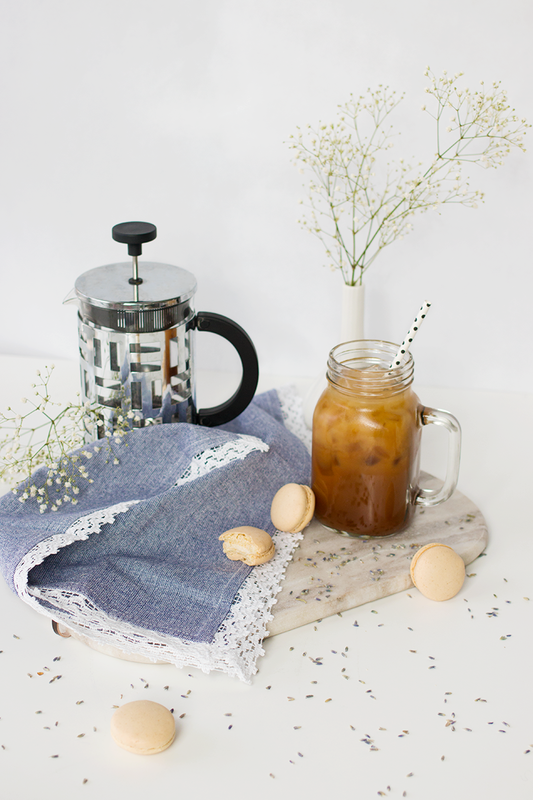 Prepare your espresso or brewed coffee (I'm addicted to my French press), and once those are slightly cooled, pour them into a glass and fill the cup halfway with the lavender milk. Fill the remainder of the glass with ice, and enjoy!